I think everyone has an opinion on Black Friday. Some people love it and look forward to facing the crowds and scoring awesome deals, others love it but choose to shop from their couch via the internet and yet others hate the idea of commercialism and avoid the whole thing. No matter how you feel about it, the fact is some great deals are definitely available! Mostly in tech, toys and clothing, but my list is all (well almost) about fabric, patterns, notions!!! What isn’t sewing related is hand made creations from fellow makers. I love supporting small businesses so the majority of my list will be indie makers. I’ll be updating this list through Friday! Have you been wanting your own personal labels for your handmade items? If so grab them TODAY while Dutch Label Shop is offering 30% off everything! (code blackfriday30) This is where I order my labels and I love them. 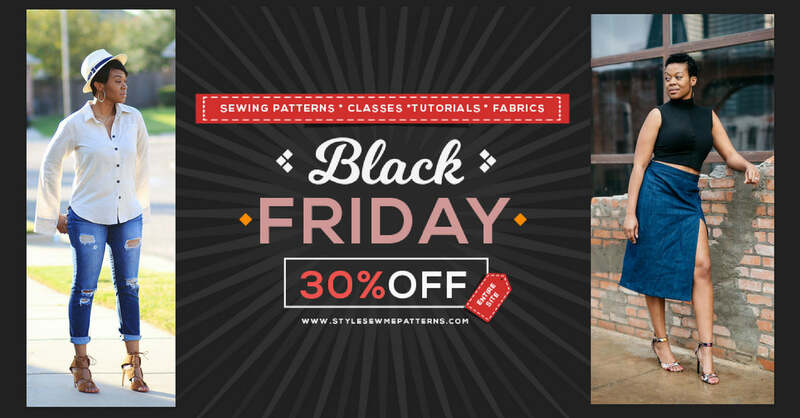 Style Sew Me is offering 30% off her entire site which includes tutorials, fabric and patterns. You can even preorder a printed pattern (these are usually limited to new releases). See my version of her Anitra pattern here. You know I love Fabric Mart and they are offering the entire site 50% off (excludes sales, clearance, Julie’s pick and regular priced patterns). This includes pre-cut fabric and sewing kits (pattern + fabric)! 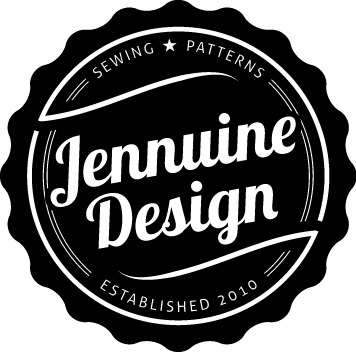 Mimi G is having a $5 pdf patterns sale starting Friday (ends Sunday)here. Closet Case patterns is offering 20% off on almost all digital and print patterns (Sasha Trousers are exclude) and hardware kits, along with 20% off online sewing classes, Sew Your Dream Jeans and Sew Your Dream Swimsuit. Simply use the discount code THANKSGIVER at checkout! Mod Kid is offering 35% off all patterns (code BLACKFRIDAY35). I’ve tested two of their patterns the Leilani (here) and the Wren (here). Blue Dot Patterns is offering all patterns for 25% off (code THANKFUL) through Monday. Grainline Patterns is currently offering 15% off (code GRAINLINE15 ) through November 30th. If a better BF deal comes up I’ll update. I have three Caheez satin lined hats and I love them. She and her team custom make each hat/wrap to order which can result in up to 8 weeks for delivery. Thankfully during her Black Friday sale she will have a limited supply of “ready to ship” hats, so if you’re impatient like me NOW is the time to order. Also save 20% from 6-10am Friday (code THANKS) on your knit hat order or select free shipping (code CYBERSALE) all weekend. Have I missed your favorite indie maker? Are you a maker and want to share your deals? Please comment below! Thanks for these tips. Keep them coming! I also have my eye on the Ginger jeans. They actually launched a better deal today 30% off everything with code blackfriday30.